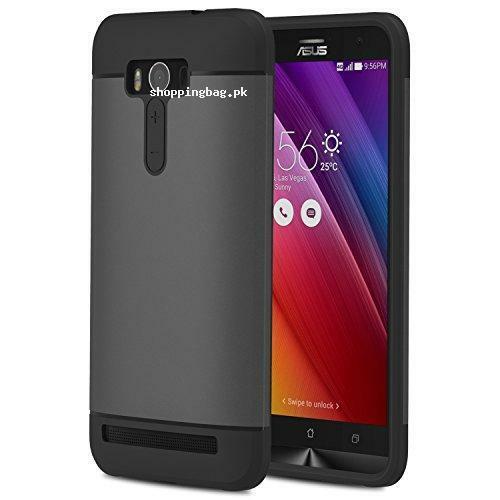 High Quality Armor Series Case designed specially for ASUS Zenfone 2 Laser (ZE550KL / ZE551KL) 5.5 Inch Smartphone 2015 Release (Will Not Fit Zenfone 2 5.5). Made of durable high-grade material. Washable. Cushioned 4 corners & Stripe Pattern Shock Absorption. Combination of hard PC back and flexible TPU edges around for perfect protection and comfortable feeling. Precise cut-outs allow accesses to all controls and buttons. Equipped with beveled edges provides higher lips than the screen level to safeguard your smartphone screen. Lifetime warranty. Please search "MoKo ASUS Zenfone 2" for other accessories offered by BSCstore.